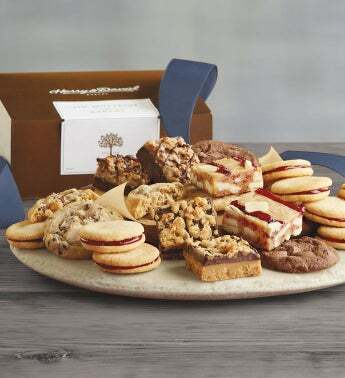 Bring a beautiful gift box brimming with dessert bars and cookies crafted in our bakery to your next celebration. Our artisan bakers use the finest ingredients to make such delights as raspberry galettes, white chocolate raspberry dessert bars, and snickerdoodles. The result is a bit of heaven topped with a handsome ribbon.